Custom one-way vision window film (perforated window film) cut to size, cut to shape. Everything is possible. 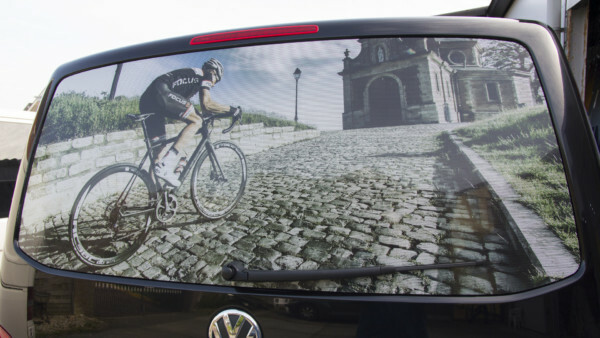 Design your own bespoke one-way vision window film (with logo, name and/or image) quick and easy with our online designer. Unique perforated window film DIY. Easy to apply yourself without bubbles. 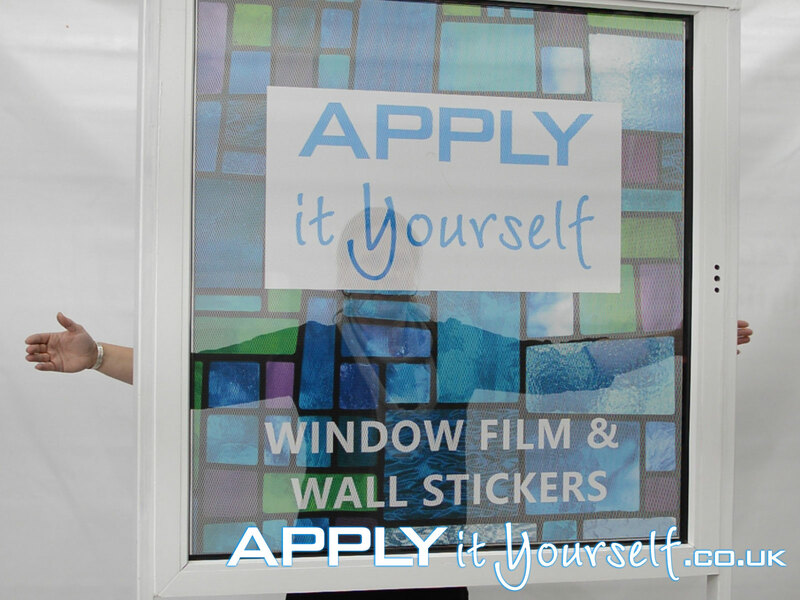 Your own custom one-way vision window film (i.e., perforated window film) will perfectly fit with your business (office, shop, restaurant) and/or personal needs. Add your own name, logo, advertising, quote’s, lettering, patterns, design, family crests, etc. to your bespoke window film. Cut-to-size and cut-to-shape. Design it yourself. Design it to perfectly fit with your house, business, architecture, brand or corporate image. Our made to measure (i.e, cut-to-size) one-way vision window film solution are made of high quality vinyl and will arrive pre-assembled in a sturdy box. 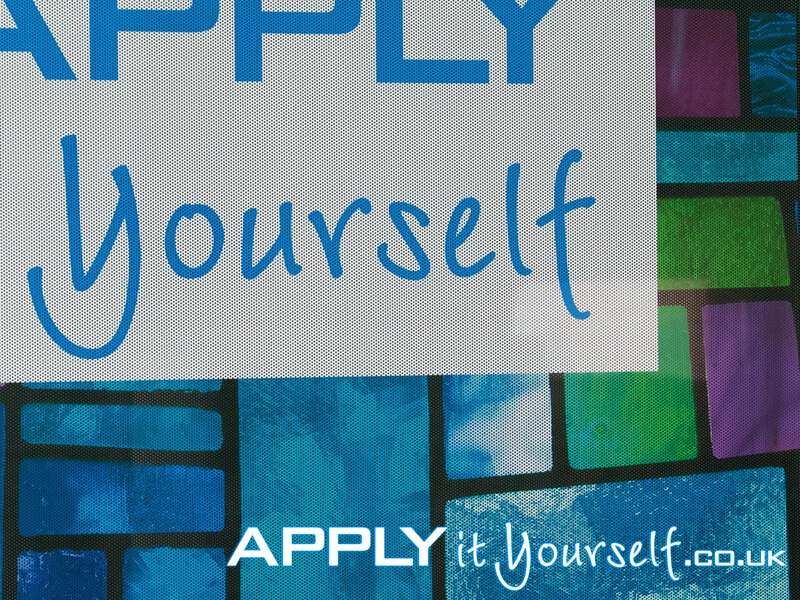 Ready for application, no additional work is required. Apply it yourself. Easy application. Due to the high quality and bubble free characteristics of our perforated window film (one way vision window film), it is easy to apply yourself. Watch our informative instruction films to quickly learn how to apply the one-way vision window films yourself. One-way vision window film is usually applied on the outside of buildings/vehicles. 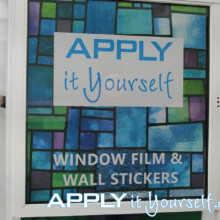 One way vision window films are ideal for branding and/or advertising purposes. One way vision window film blocks about 50% of the incoming light. Gives only partial privacy, for complete privacy (bathrooms, doctor’s office, etc.) we advise you to use the frosted window film. 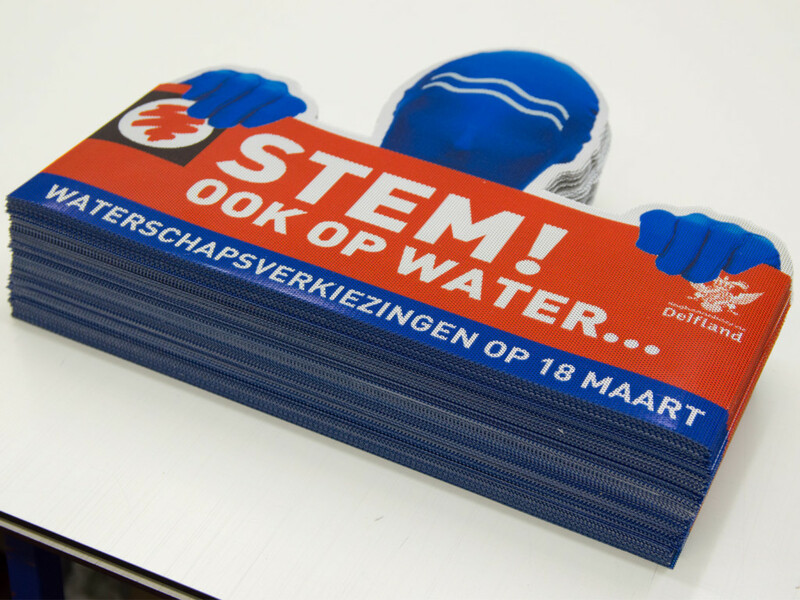 If you are looking for a large number of (promotional) one-way vision window films or for cut-to-shape perforated window films. Contact us directly by email. With you wishes, number of pieces and window film dimensions/shapes. A. Design it Yourself. 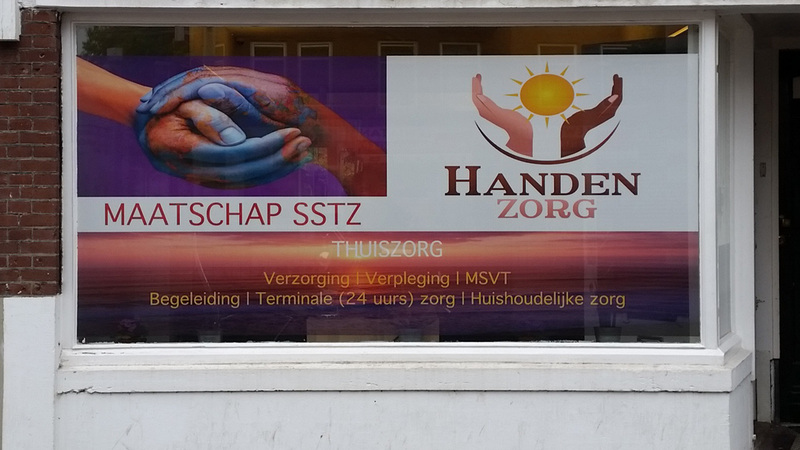 Custom One-way vision window film. 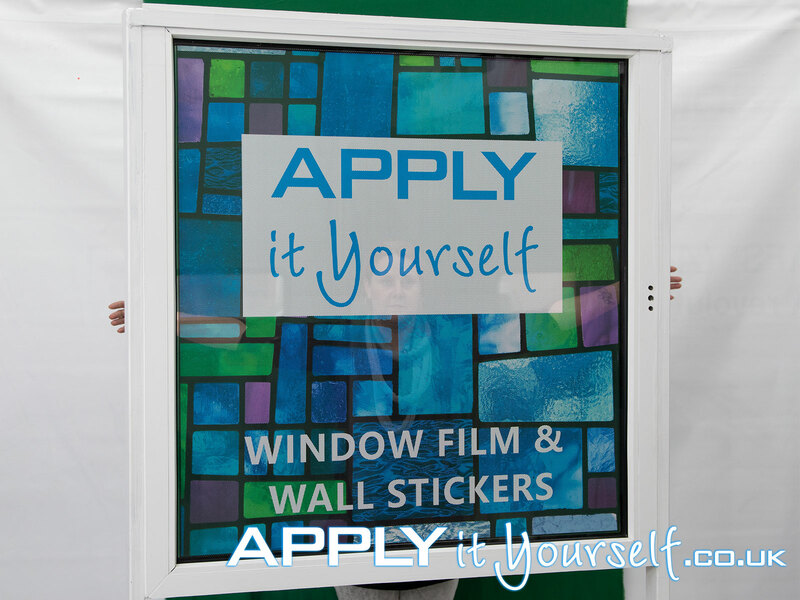 Design your own custom one-way vision window film (i.e., perforated window film). To fit your personal and/or business needs. Upload or your own design and/or use one of ours. 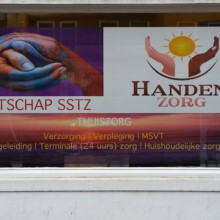 Either (1) use our online design software to design your own unique window film. Or (2) use your own software. For example Adobe Illustrator, Coral DRAW or opensource Inkscape. And subsequently upload your finished design in our online designer. 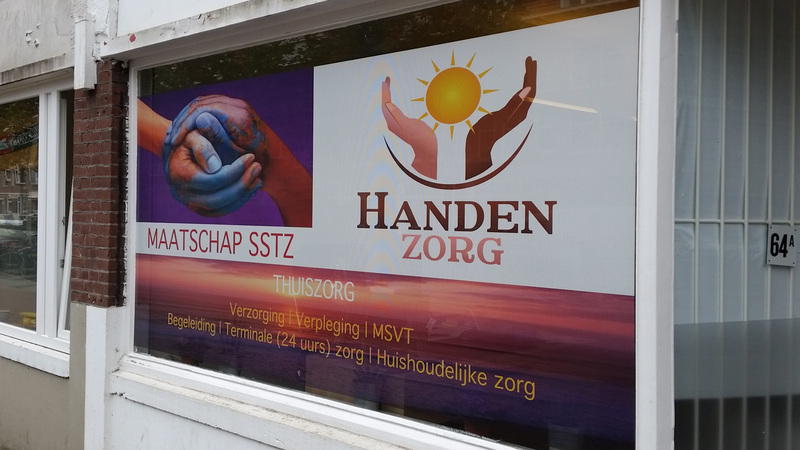 Below you will find our online designer, which you can use to design your own unique one-way vision window film. We advise you to use a PC/MAC or a tablet in landscape mode when using our online design software. Enter the required size in mm. We advise you to read the instructions below the designer. 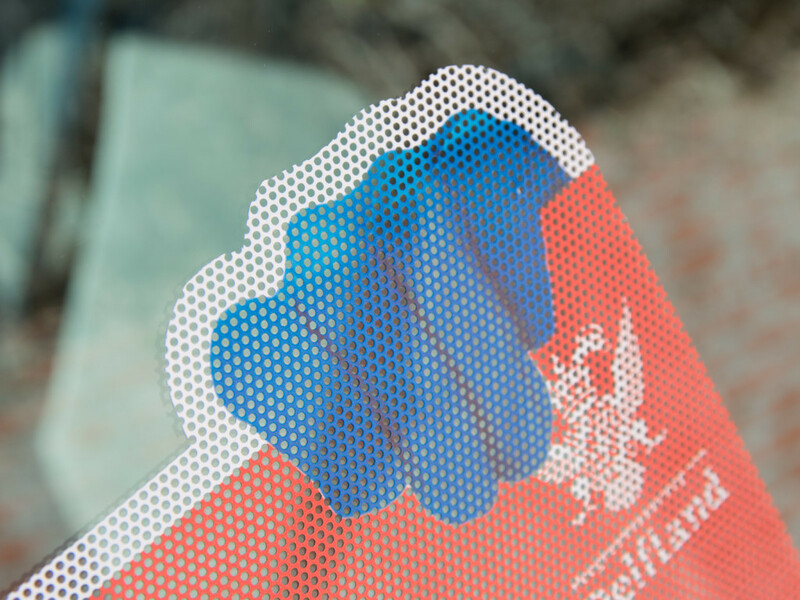 And subsequently watch our instruction video below the instructions on how to design your own custom perforated window film using our online designer. Enter this size in millimetres into the online designer, say 500 x 500 mm. Maximum size 1330 x 3500 mm or 3500 x 1330 mm. If you are looking for larger window films. Please contact us directly by email. 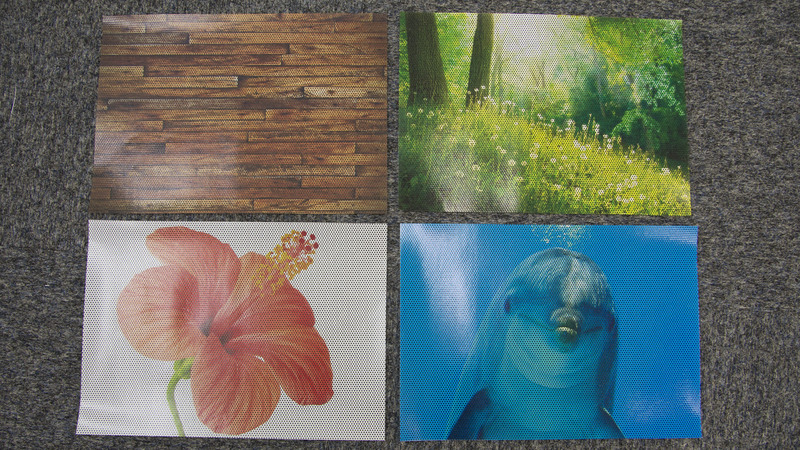 You can use the “add image” button to upload your own designs/images. 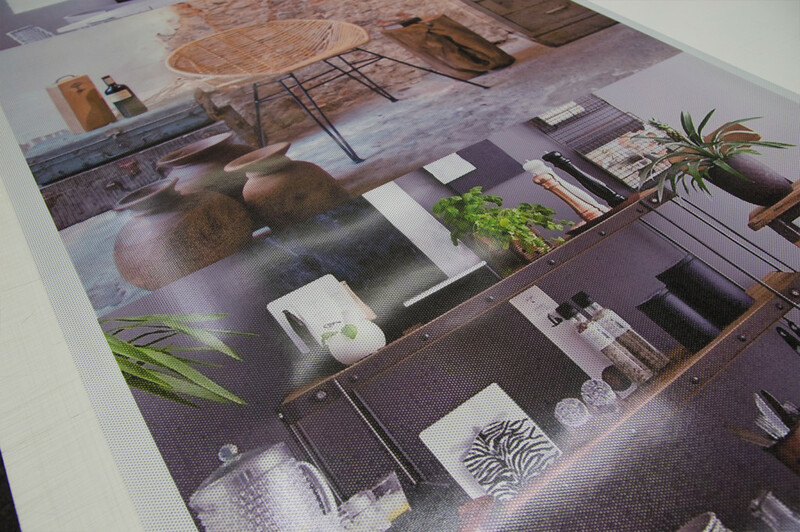 More information about designing your own bespoke one-way vision window film using your own software, see here. Are you looking for a specific cut-to-shape design? Please contact us directly by email and attach your .ai/.eps/.pdf design. Below you will find an instruction video on how to use our online designer in order to design your own custom one-way vision window film. Enter the required dimensions of the one-way vision film, in millimetres. For both the height and the width of the window film. Enter your texts. Re-position it at the required location. Change font size and/or change the font. In addition, you can change the colour of the font. 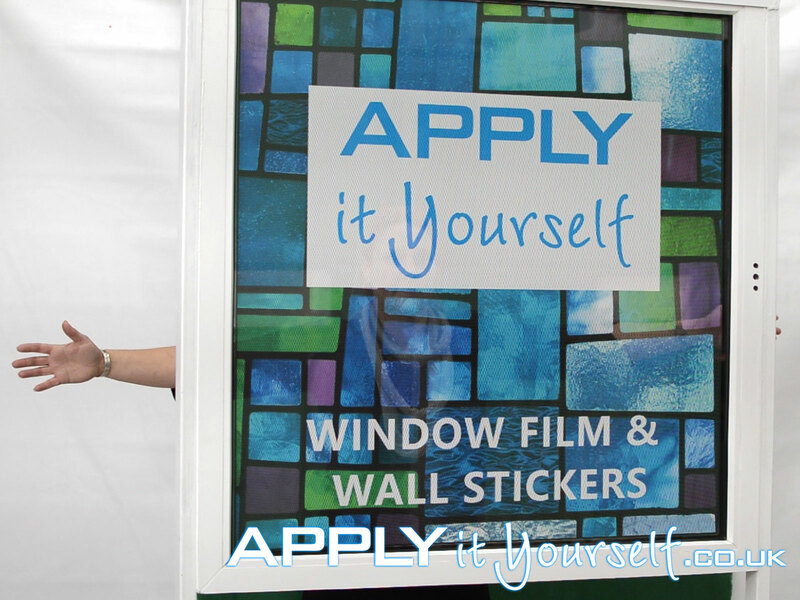 You can add your own images to your custom printed window film using the “Add Image” button. In addition, if required, you can change the proportion of your image/design. You can use the “copy button” to copy texts/objects/layers. Or use the “text alignment” buttons to change the alignment of your texts. You can add additional texts with the “add text area” button. Add and rotate. Objects/layers and/or texts. And you can use the “trashcan icon” to delete a texts/object/layer from your custom printed one-way vison window film design. With the “copy button” you can copy objects, layers and texts. When one layer/object/text is in front of the other, you can move them forward and backward. Also handy when you are unable to select the layer you want because it is blocked by another layer. When you are finished with your custom one-way vision film, add it to your cart. Select your country and calculate the shipping costs. Enter your email address and your billing and shipping details. Select your payment method of choice and pay. Shipment will occur in 3 to 5 working days after we receive your payment. 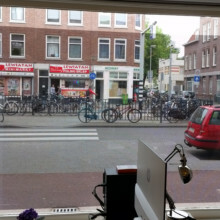 Designing one-way vision window film. Generally, a very vibrant/busy/intense design will provide the best one-way vision effect. As it will be harder for people to look through the material/design. Due to the fact that 40% of this material consists of holes, we advise you to increase the vibrancy of your design by 40%, to compensate for the lack of material/surface. Do not use small letters or very thin lines, as they may prove hard to read/see due to the perforation. 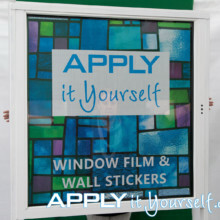 The One-way vision window vinyl (i.e., perforated window vinyl) is weather/water resistant. The one-way vision window film can only be applied to the outside of the glass/window (cannot be made as a reverse window sticker). The material itself blocks light. 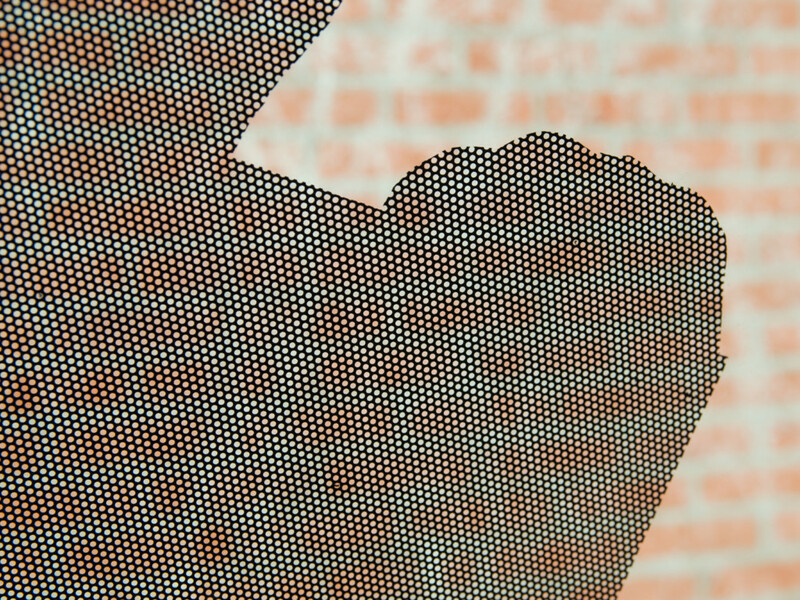 This material blocks about 50% of incoming light. Thus this window film can be used to reduce heat and glare from the sun inside vehicles and buildings. (The (8) perforated frosted window film material itself does not block much light. The material is a medium long term vinyl suitable for both single and double glazing. To get the most out of this material make sure to extensively clean the glass before installation. 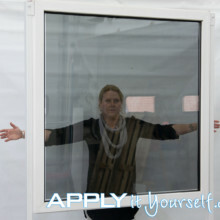 We advise installation on only normal flat smooth glass. 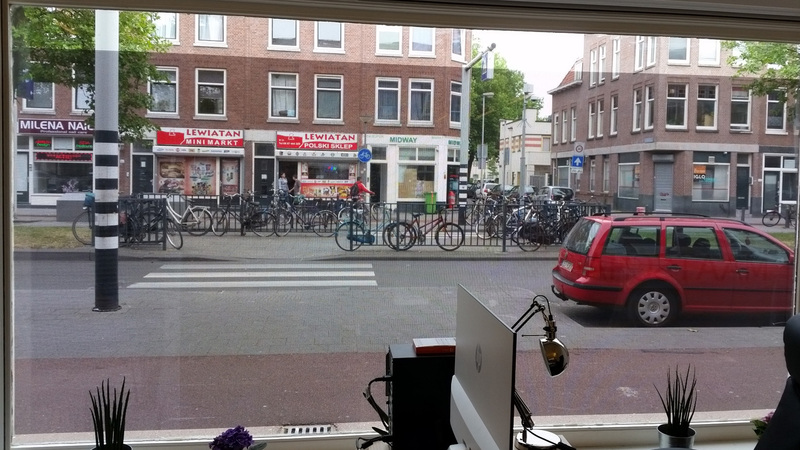 The one-way vision effect works generally best when it is dark(er) on the inside (behind) the one-way vision and light(er) on the outside (in front) of the one-way vision window film. 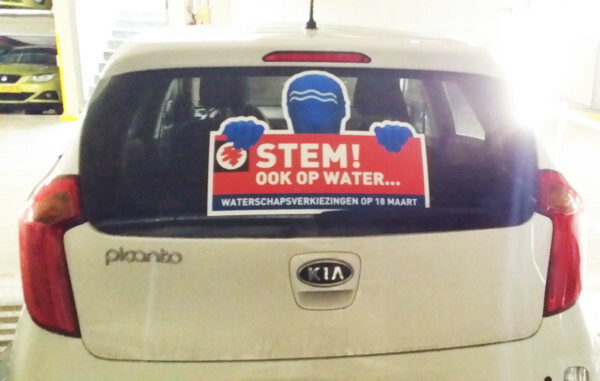 Thus to make full use of the advertising opportunity, it is recommended that the inside lighting of the vehicle/room is much less brighter than the external lighting. This is more applicable at night when outside illumination is weak. We do not advise to use this material in bathroom or treatment room. It provides only partial privacy. The back of this material is black. 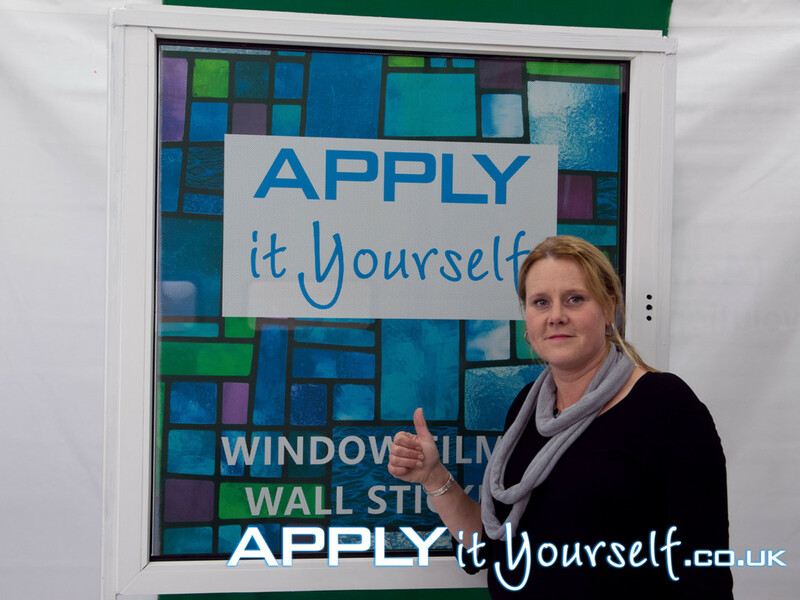 Only apply one-way vision window film to flat and smooth glass surfaces. How to apply custom one-way vision window film (i.e., perforated window film)? For the most complete and up-to-date instructions see this LINK. 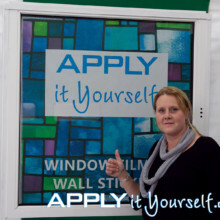 Below you find instructions on how to apply your custom one-way vision window films. 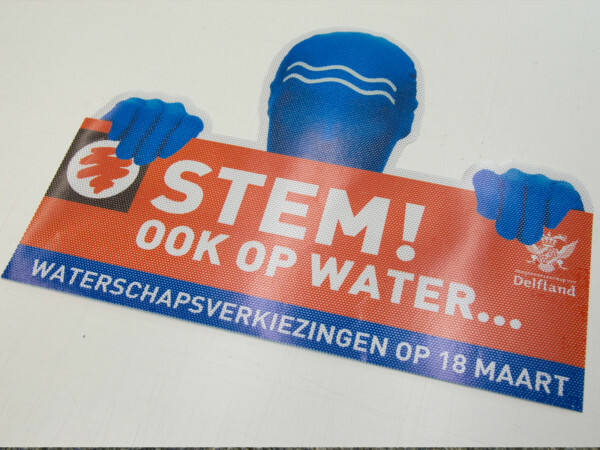 No water is needed. One-way vision window film, is applied to the front of the glass (outside). Make sure to not your bespoke one-way vision window film in direct sunlight, make sure the temperature of the one-way vision window film, the window it self and the surrounding air is -ideally- around 12 to 18 degrees Celsius. When the temperature is above 18 degrees we advise you to apply the window film during the early mornings or after sundown. 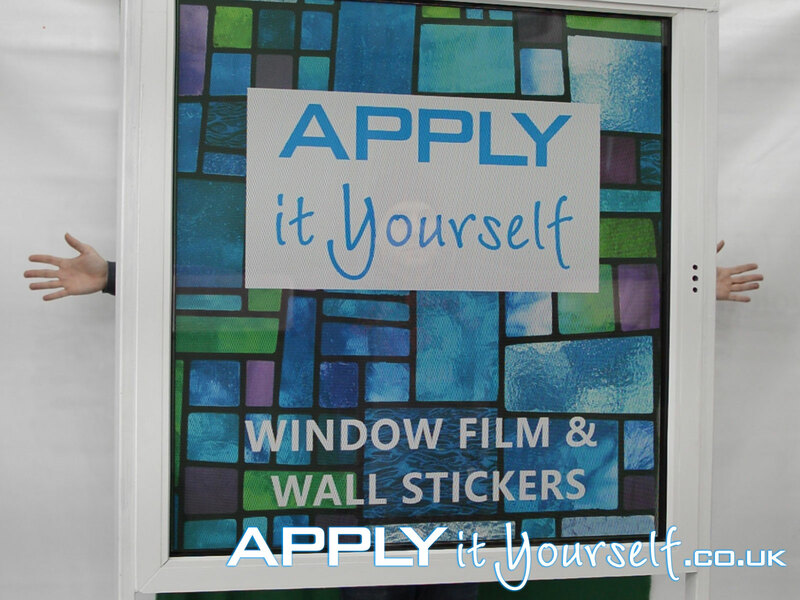 Read the instructions supplied with your custom perforated window film. Always keep your window film flat so that is does not bend/fold. Clean the window and window frame thoroughly. Remove paint, grease and other dirt. 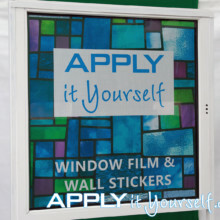 This is especially important when the one-way vision window vinyl is applied outside, due to the holes in the material. Otherwise you will get issues. 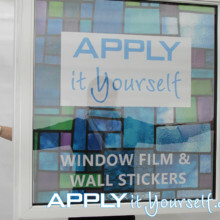 Use the supplied squeegee and card over the application-tape on the front of the window film to further increase the binding between the two. Use a flat surface, like a table. Remove the backing paper. Carefully. 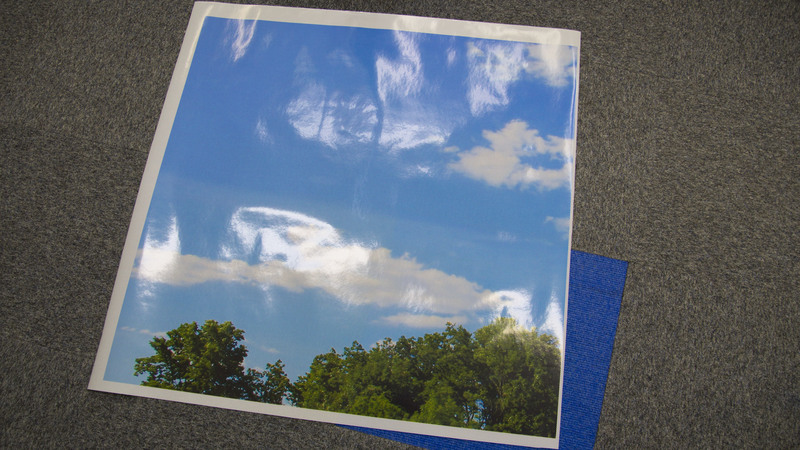 The backing paper of one-way vision window film consists of two layers one transparent layer and one white layer with holes. Apply the perforated window film with the application-tape to the window and position the window film at the preferred location. Use your supplied free squeegee. Start in the middle/centre of the window film and move horizontal with overlapping movements towards the edge of the window film. 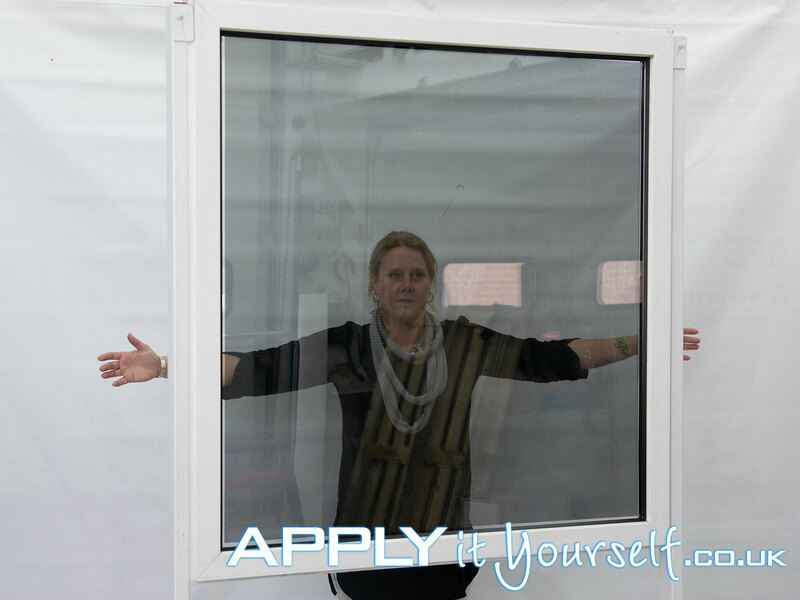 During which you hold the window film a couple centimetres (2 inches) above the window/mirror/surface itself. 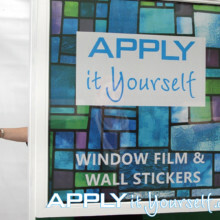 Allow the adhesive enough time to stick to the window. 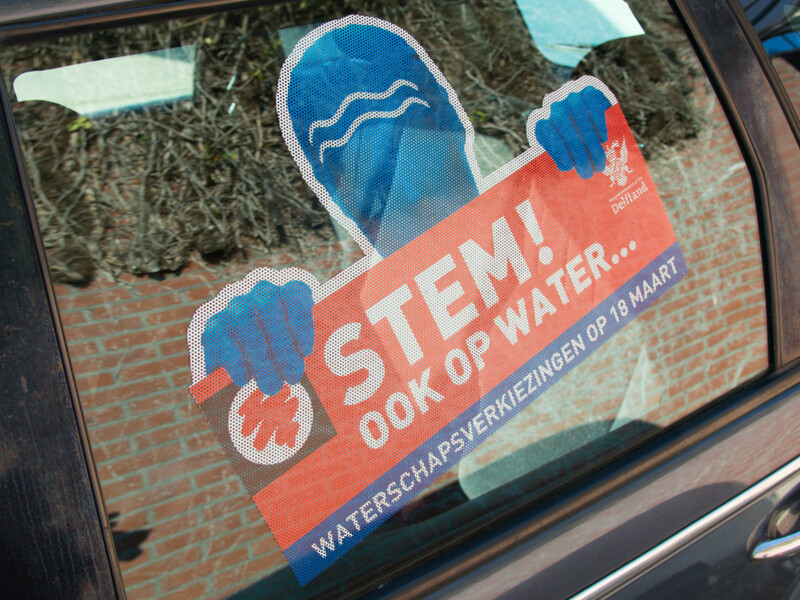 So that removing the application tape does not lift the one-way vision window vinyl from the surface/window/mirror. Remove the application tape after a couple of hours, 6 to 12 hours should be enough. 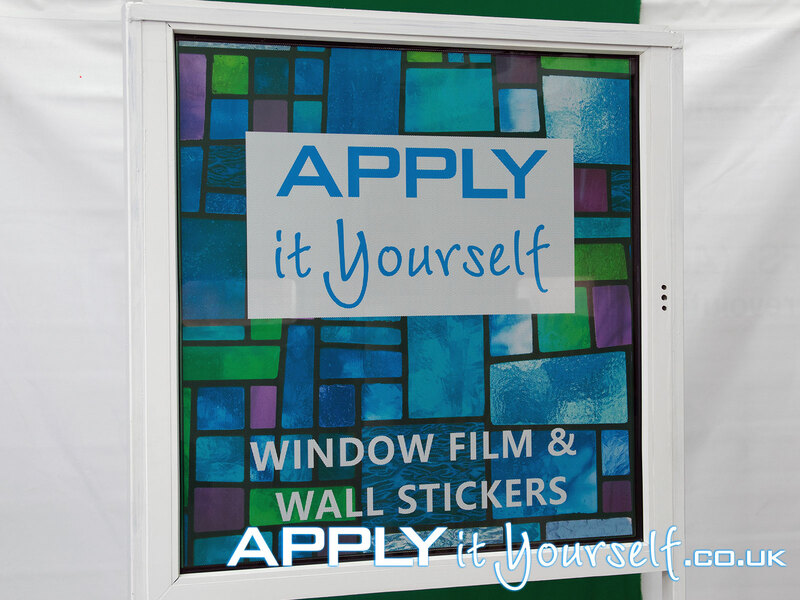 If, when removing the application tape, you lift the one-way vision window vinyl from the window glass. Wait 24 to 48 hours before removing the application tape. 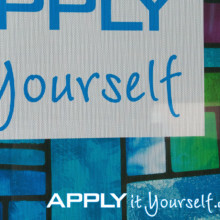 The one-way vision window vinyl should be very easy to remove for the first two years after application. 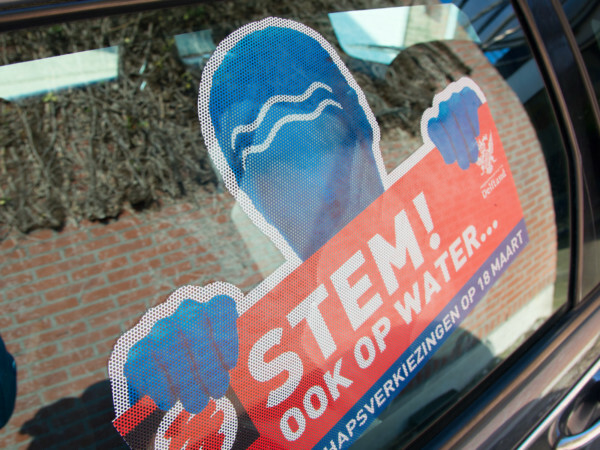 When the material is warm (apply heat with a heatgun) it is easier to remove and will leave less adhesive/glue behind. We supply businesses, private individuals, NGO’s and governments. 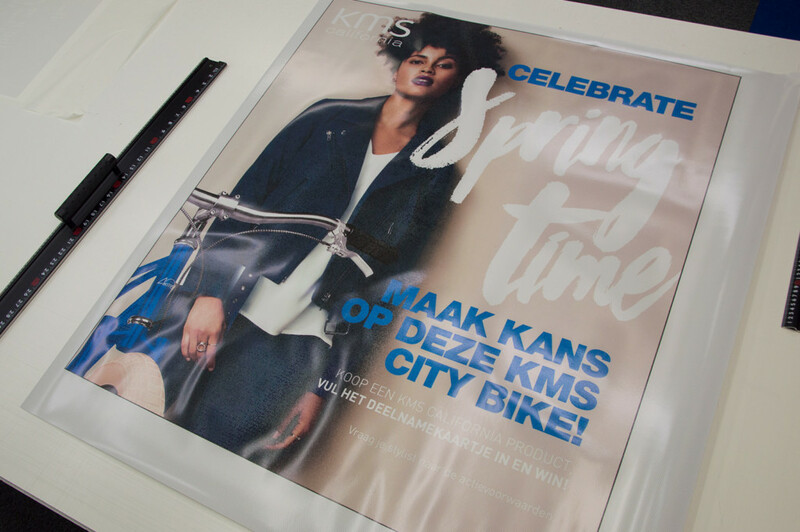 Our made to measure custom window film solutions are made from high quality vinyl. Providing partial privacy (block view) but allowing about 50% of the light to pass through. 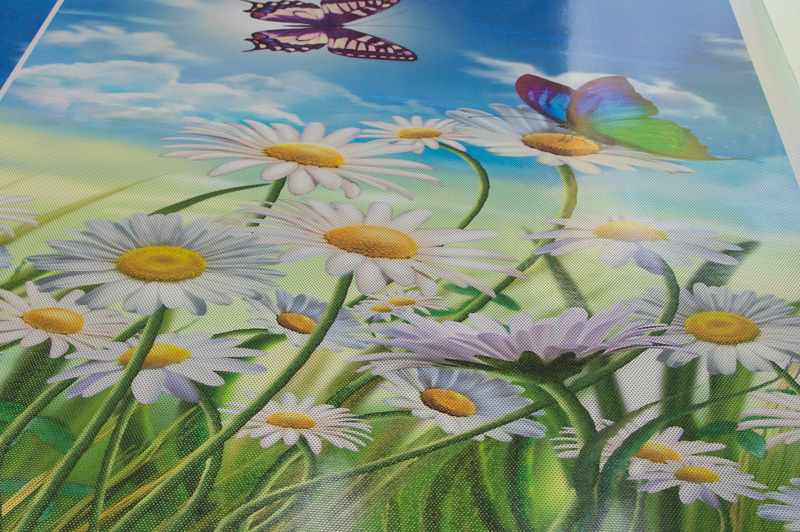 Below you will find a large number of photos of one-way window films which hopefully gives you some inspiration for your own custom design. From small to large. 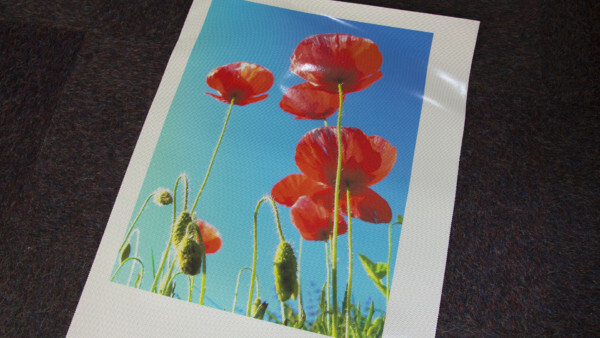 Your bespoke perforated window film can be cut-to-size and cut-to-shape.